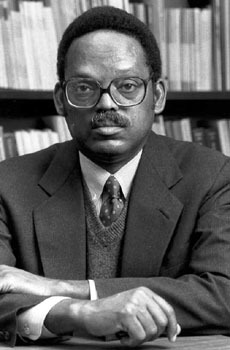 Harvard sociologist William Julius Wilson has studied race relations in the United States, and identified a trend of diversion between middle-class and lower-class blacks. As blacks attain success and middle-class economic status, they tend to move out of depressed urban neighborhoods, which leaves these economically deprived areas without any visible success stories, without "traditional values" leadership, and without neighbors who could provide contacts for employment possibilities. With few jobs and little leadership, it follows that American ghettos are filled with chronic, community-wide unemployment that tends to make crime appear to be a viable tactic for success. Wilson has concluded that, as racial barriers have dissolved, the continued poverty of urban blacks is less a product of racial prejudice than a result of the changing economic landscape. His prescription for breaking this cycle of doom involves "race neutral" government-backed jobs and health programs. "Affirmative action," he writes, "has to be combined with a broader program of social reform that would emphasize social rights: the right to employment, the right to education, the right to good health."